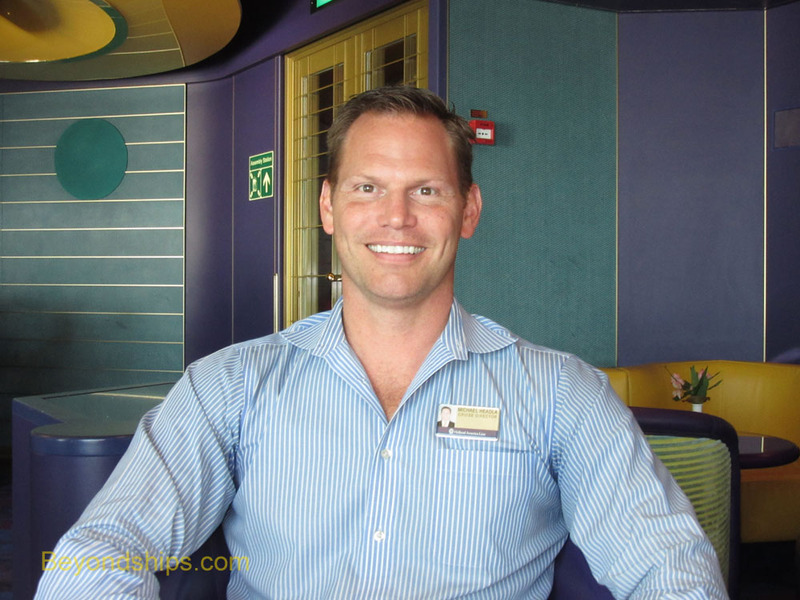 Cruise director Michael Headla is in charge of the entertainment and activities offered aboard the Westerdam. He began his entertainment career as a dancer, subsequently performing with Dolly Parton and with Louise Mandrell. At the same time, he became involved in entertainment sales and marketing including serving as Sales and Marketing Supervisor for Dollywood theme park. During the last six years, Mr. Headla has worked on Oosterdam, Zandam, Veendam and Ryndam as well as on the Westerdam. His approach to organizing and presenting the entertainment has remained much the same regardless of the ship. While the approach to entertainment and activities may be the same fleet-wide, that does not mean that the entertainment on the Holland America ships today is the same as in the past. As discussed below, HAL has enhanced its entertainment offerings so as to have strong arrays of both nighttime entertainment and daytime activities that are true to the line's tradition of offering a sophisticated cruise experience. The centerpiece of the nighttime entertainment on most cruise ships is the production shows in the ship's main theater. On Westerdam, the production shows in the Vista Lounge have a new energy, utilizing not just singers and dancers but also aerialists and acrobats. In addition to the above-mentioned highlights, the nighttime entertainment on Westerdam includes shows by visiting performers (comedians, magicians, jugglers etc). As well as various musical performances ranging from classical recitals to themed-disco parties. Another highlight of Westerdam's daytime activities program is the Microsoft Digital Workshop, which not only has a dedicated teacher but also has its own dedicated classroom equipped with computers.